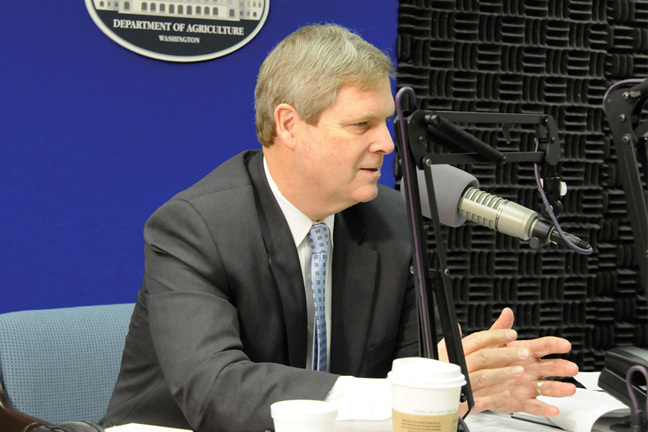 Agriculture Secretary Tom Vilsack announced USDA's intent to purchase up to $170 million of pork, lamb, chicken, and catfish for federal food nutrition assistance programs, including food banks. The purchase will help relieve pressure on American livestock producers during the drought, while helping to bring the nation's meat supply in line with demand while providing high quality, nutritious food to recipients of USDA's nutrition programs. "President Obama and I will continue to take swift action to get help to America's farmers and ranchers through this difficult time," said Vilsack. "These purchases will assist pork, catfish, chicken and lamb producers who are currently struggling due to challenging market conditions and the high cost of feed resulting from the widespread drought. The purchases will help mitigate further downward prices, stabilize market conditions, and provide high quality, nutritious food to recipients of USDA's nutrition programs." Today, USDA announced its intention to purchase up to $100 million of pork products, up to $10 million of catfish products, up to $50 million in chicken products, and up to $10 million of lamb products for federal food nutrition assistance programs, including food banks. Through the Emergency Surplus Removal Program, USDA can use Section 32 funds to purchase meat and poultry products to assist farmers and ranchers who have been affected by natural disasters. The pork, lamb and catfish purchases are based on analyses of current market conditions. A major factor affecting livestock producers is the value of feed, which is currently running high because of the drought. USDA's Agricultural Marketing Service (AMS) purchases a variety of high-quality food products each year to support the National School Lunch Program, the School Breakfast Program, the Summer Food Service Program, the Food Distribution Program on Indian Reservations, the Commodity Supplemental Food Program and the Emergency Food Assistance Program. USDA also makes emergency food purchases for distribution to victims of natural disasters. Government food experts work to ensure that all purchased food is healthful and nutritious. Food items are required to be low in fat, sugar and sodium. The commodities must meet specified requirements and be certified to ensure quality. AMS purchases only products of 100 percent domestic origin.